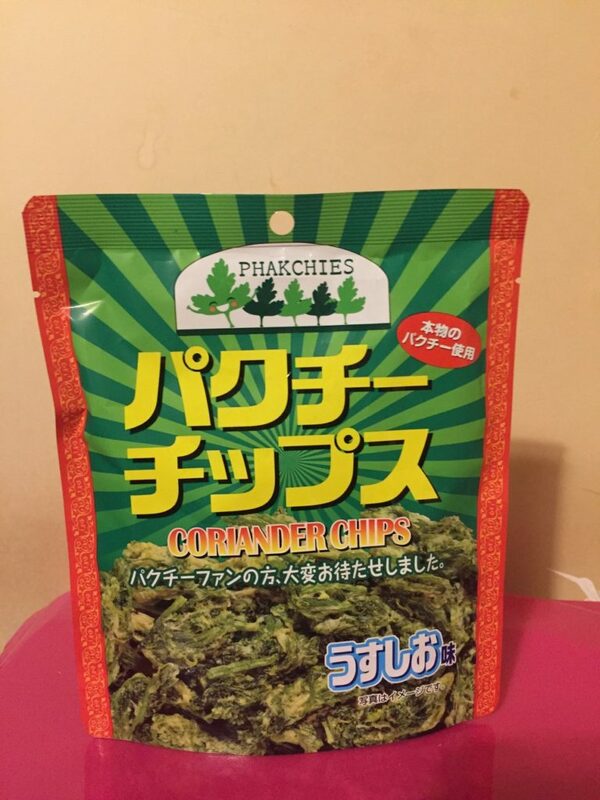 Japan’s Pakuchi (Coriander) Craze is Just Crazy! But Also Crazy Delicious! For reasons beyond me, in Japan, it is mistakenly believed that Thai people eat pakuchi (coriander) all the time. For Thai people, Japan’s pakuchi craze seems really crazy; we may use pakuchi in cooking but it’s not the spice of our lives. It’s not our main staple either. Pakuchi (Coriander) related foods and snacks are big in Japan. Pakuchi or ‘パクチー’ is derived from a Thai sounding word ‘Pakchee’ meaning coriander. It is an herb seen in many Thai dishes, either sprinkled on top or put in the soup. When I first moved to the Tokyo vicinity in 2011, it was actually the first time I saw pakuchi sold in supermarkets and even spelled with a Thai sound. 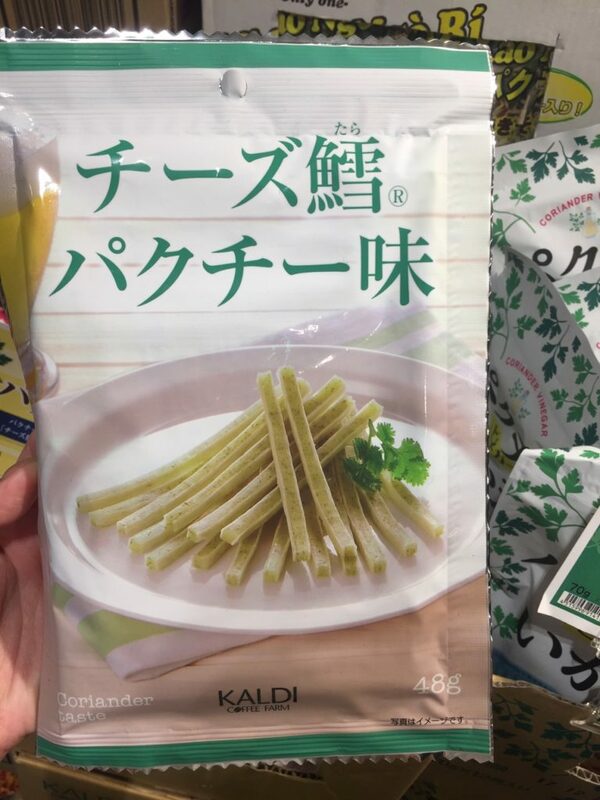 I was very surprised to see the Japanese knew of the existence of this little herb we find so cheaply anywhere in Thailand. In reality, pakuchi is nowhere near a vital part of Thai food ingredients. True, we sometimes grind the roots of pakuchi and mix it with other ingredients to create a curry paste, since this herb gives the paste a nice flavor and smell. 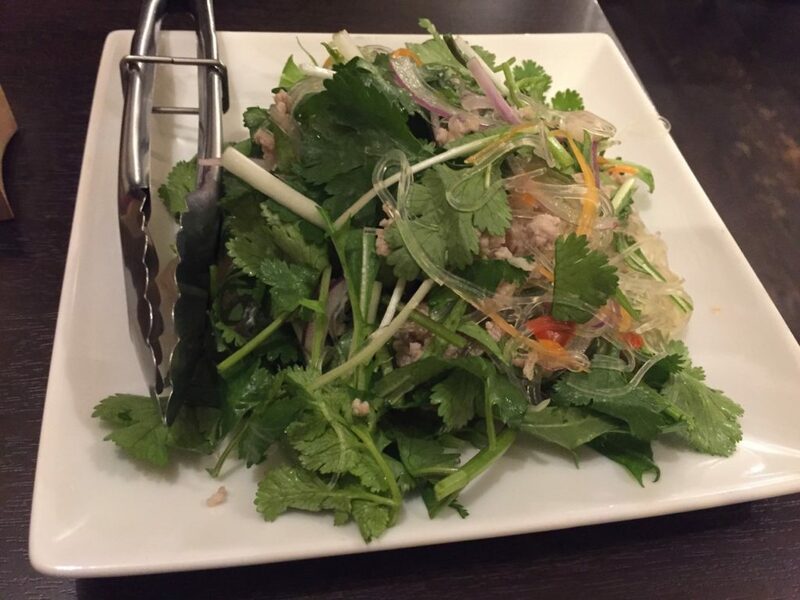 In day to day usage, we usually just put a few leaves on top of a finished dish for decoration. When I was growing up, there was even a proverb in Thailand that says ‘Sprinkle pakuchi on top’. This applies to situations when you decorate something to make it look nice or sometimes even to cover up something. At school, we used this proverb at times such as when we knew a teacher was going to come by and check up on us. As you would imagine, we cleaned up the classroom, sat straight, and maybe pretended to be doing some work — that is metaphorically the real role of pakuchi in Thai cooking. We see it a lot but we never see piles of it in our food. In recent years, I have been noticing a growing trend of people eating pakuchi in Japan. Many people here also asked me about it thinking that it is Thai food and I always explain that it is like a garnish, similar to parsley or green onions (ネギ negi) in Japan. The trend really startled me but at the same time, I was amazed by the variety of pakuchi products available. From pakuchi chips, soup, ramen, spicy sauce, fried rice, spring rolls, porridge to even pakuchi candies. There are even pakuchi specialty restaurants with menus such as pakuchi salad, tempura, stir-fried pakuchi, and pakuchi cheese. Some places also serve drinks like pakuchi mojito or pakuchi lassi. On top of that, pakuchi cheesecake and other pakuchi flavored desserts are also on the menu. As I saw once on TV, a Japanese TV star came out to a cooking show and taught people how to make ‘pakuchi fried rice’ with more pakuchi than I had ever eaten in my life. Like many Thais who travelled here, my first reaction was ‘is this for real?’. This was ollowed by about 5 minutes of laughter and probably another 5 minutes of instagram photo snapping time. What pops up in our heads when Thai people think about pakuchi isn’t ‘yummmy’, it is more of an ‘ewww’, which is probably a universal reaction people would have when thinking about eating a huge amount of garnish alone as it is. It took me literally years to finally decide to try some myself. I have to admit, I liked it. Pakuchi dishes turn out to be really good..
First, I visited Coffee Kaldi to, a shop full of delicious food ingredients for many ethic cuisines. 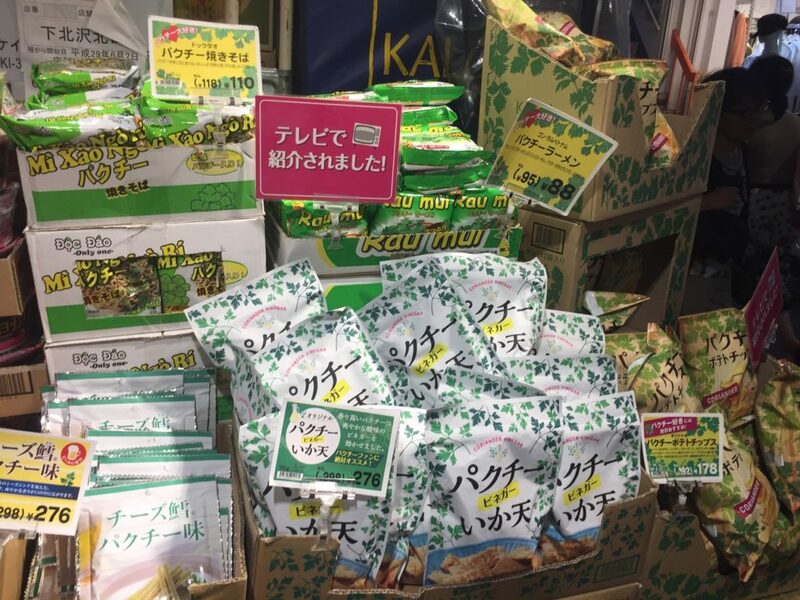 At Kaldi, there are many lines of pakuchi products. I tried pakuchi fried rice, chips, porridge (though this says Vietnamese soup) and pakuchi noodles. And the result was far beyond what I imagined — they were all good. I also found my winner — Pakuchi potato chips (パクチーポテトチップス）. They tastes salty, earthy with a little bit of sweetness and tint of (very) nice pakuchi smell. I am now a regular repeat pakuchi potato chips eater. My only complaint would be that the bag is too small — not enough chips. I found Vietnamese pakuchi porridge and pakuchi fried rice to be very tasty — I like to have the porridge for breakfast especially. Some other products could be some hits and misses but what surprises me the most is that nothing really tastes bad. I was so sure it would all taste horrible but as it turned out, it was not. Only the pakuchi chips and pakuchi cheese in the photo below are what I would not recommend. The Pakuchi Fish Cheese and this brand of Pakuchi Chips were just awful. I tried going to Pakuchi restaurants. Each restaurants has quite a different menu. But just seeing ‘pakuchi salad’ on the menu just blew my mind away. There is no way you can find this menu anywhere in Thailand. There are many interesting menus. I have tried: pakuchi stirred fried, pakuchi beef tongue, pakuchi cheese dakkalbi, pakuchi roots tempura, pakuchi chichimi, pakuchi spring rolls, pakuchi gyoza, and others. For desserts, I even got to try pakuchi cheesecake. For drinks, I got pakuchi mojito and pakuchi lassi. I have to say that they are all very delicious but it takes many plates to feel full as pakuchi is very light. It is hard to pick a favorite but mine would probably be pakuchi roots tempura, pakuchi chichimi, and pakuchi cheesecake. What makes it good is how pakuchi has a faintly sweet taste with a lovely smell. Who would have imagined it to be this tasty. Some side info I learned from the Japanese friend I went to one restaurant with; she told me that there have been a lot of research about pakuchi in Japan. It is believed to have a lot of nutrition that is good for health and the Japanese also believe that that is why Thai people are skinny. I don’t know if either of these theories is true. She also explained that in Japan, girls who say they like pakuchi are considered cute; they’re considered to be the same type of girls who say their favorite color is pink. Despite me finding pakuchi products here delicious, none of my friends back home believe me. Their reactions to my social media posts were skeptical, awkward, horrified, or some just burst out laughing — all of which were my reactions before I actually had a taste. Japan is a master of strange productions of things. I am still amazed at how they can turn a garnish like pakuchi into delicious dishes. 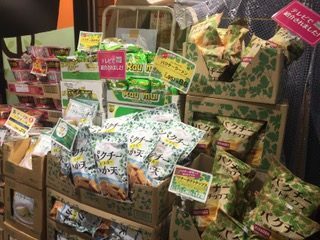 Next time I visit home, I will make sure to pack a suitcase full of pakuchi chips for people to try. I challenge you readers to try pakuchi here as well. 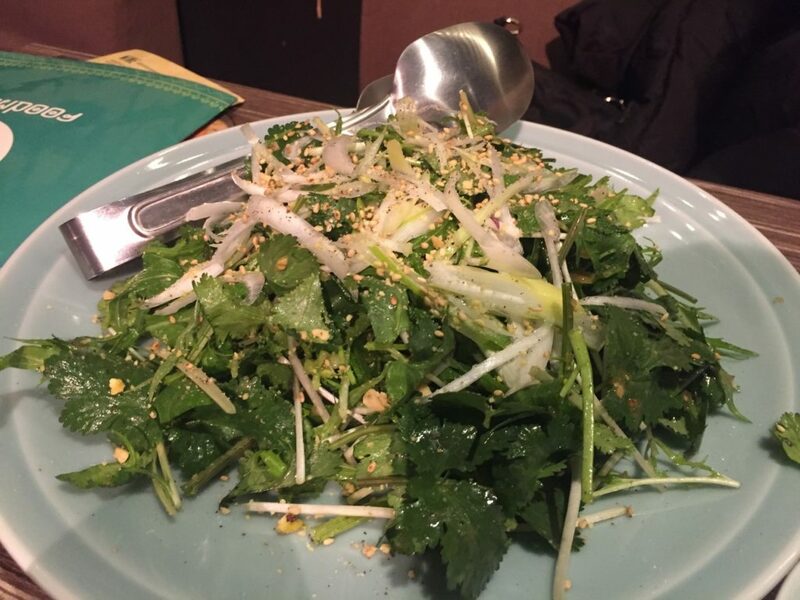 By the way, just be sure not to order pakuchi salad in Thailand, people will just think you’re clueless or weird or both. 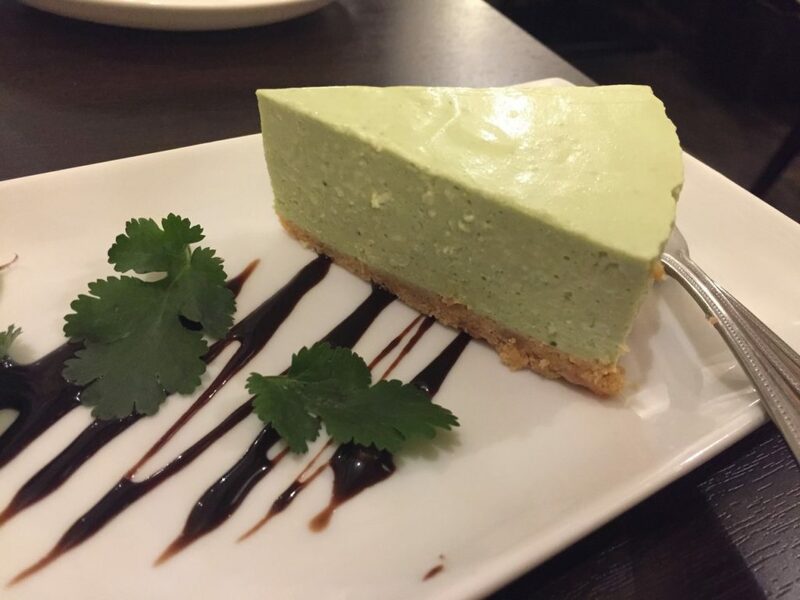 There’s nothing quite like Pakuchi (Coriander) Cheesecake at the end of a meal. 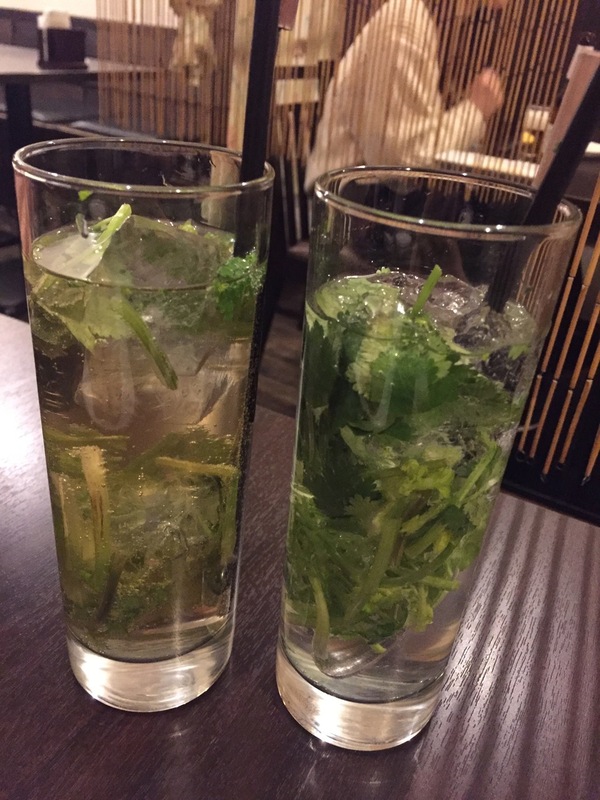 Drink up with some coriander cocktails! 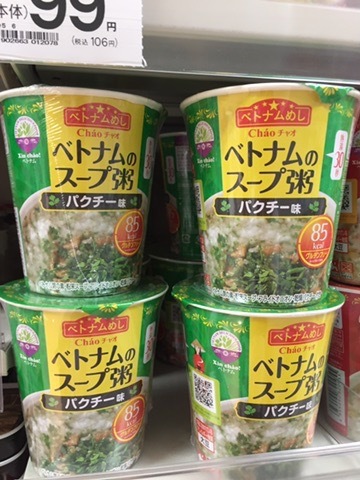 Posted on February 2, 2018 February 2, 2018 Author Ploychompu SrisaanCategories Contemporary Culture, Featured, On the Record, Photo Essays, Pop CultureTags coriander, pakuchi, パクチ1 Comment on Japan’s Pakuchi (Coriander) Craze is Just Crazy! But Also Crazy Delicious! 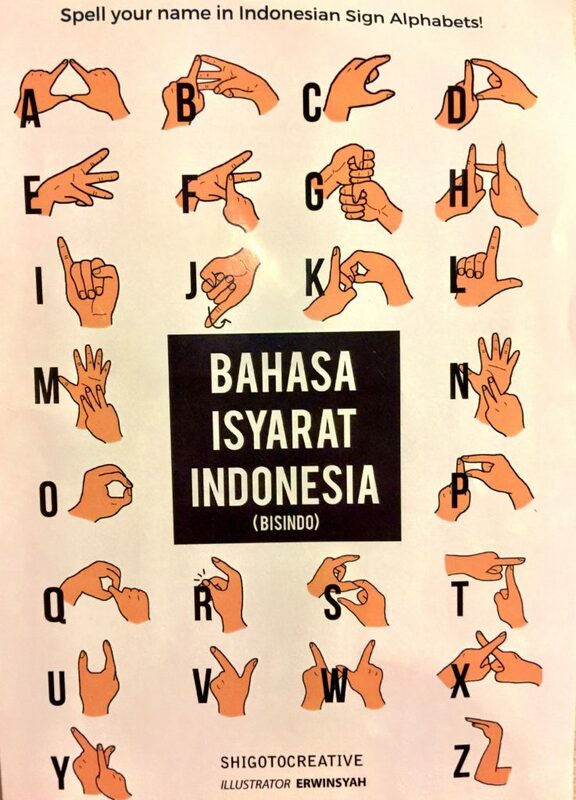 “Fingertalk” a cafe run by the deaf in Indonesia has become a successful philanthropic business in Indonesia. It owes its success to the experience and determination of Dissa Syakina Ahdanisa, a graduate from Ritsumeikan Asia Pacific University (APU). APU is a university located in the famous hot spring city of Japan — Beppu, Oita prefecture. 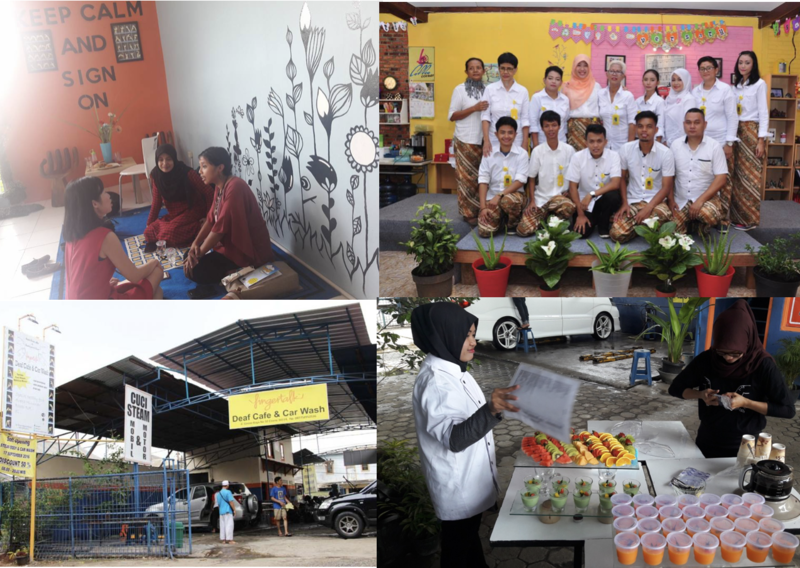 It was after her graduation that she has embarked on a path to become a social entrepreneur focusing on helping the deaf community in her home country of Indonesia. 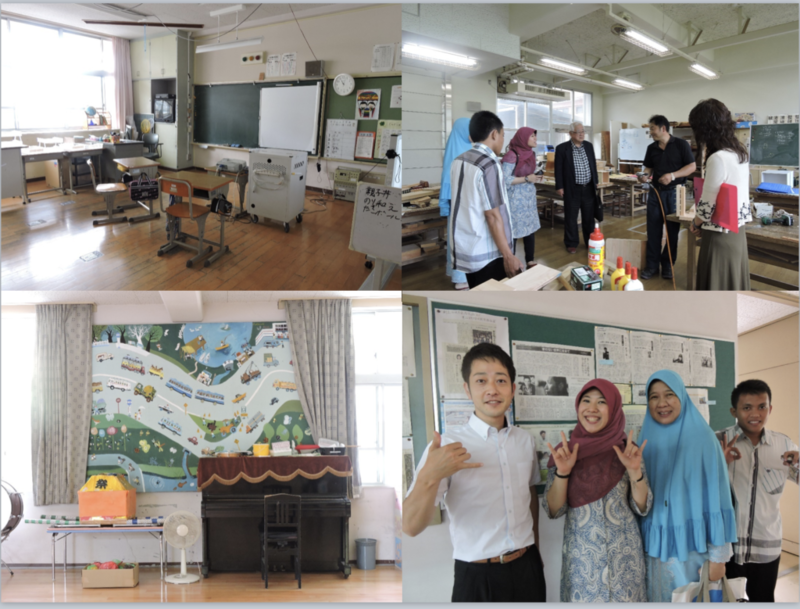 APU is renowned for having multicultural environment with foreign students from 86 countries (as of May, 2017) and for having a strong bond between the university and Oita community through various local activities. The school aims to give students more than just a four-year higher education, but also a unique life experience, which is hoped will result in producing open-minded, brilliant, and inspiring graduates who embrace the term ‘differences’ and challenge the world to do the same. Dissa founded ‘Fingertalk’ in May 2015, a business which has expanded from a single cafe to two fully operating cafes, one workshop/craft store, and a recently branched out into a car wash business. What’s special about Fingertalk’s business model is its goal to connect the deaf community with the hearing community by hiring all deaf employees. While aiming for that long term goal, Dissa hopes that for now, Fingertalk can create job opportunities for the deaf, be a fun place where people enjoy universal pleasures, such as food and artwork, and be a place where people can learn something new — particularly sign language. Hence, ‘Fingertalk’, named by the young social entrepreneur herself, represents the way the deaf community communicate by sign language. In Indonesia, sign language is called Bisindo. 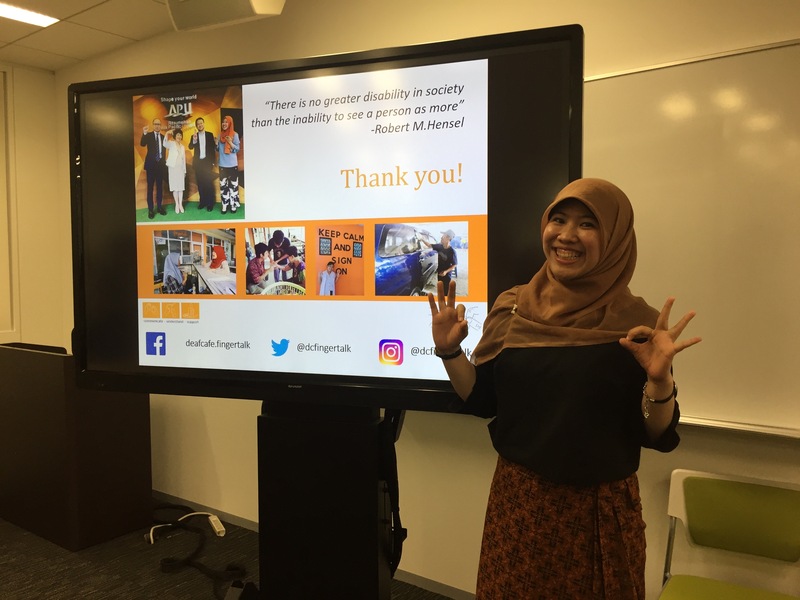 On 2 June 2017, Dissa came to APU’s Tokyo campus to give a talk about her life after APU, specifically about the Fingertalk business and her recent visit to schools for the disabled in Oita prefecture, supported by the local government. The event was flooded with interest from APU alumni owing partly to the fact that in September 2016, the former president of the United States, Barack Obama, had spoken of Dissa and praised her for her inspiring work in the Youth Southeast Asian Leaders Initiative (YSEALI) in Laos. Dissa said when she was 10 years old, she became fascinated with sign language having met a deaf person who taught her how to spell her name at an event in an old folks home where she accompanied her mother. 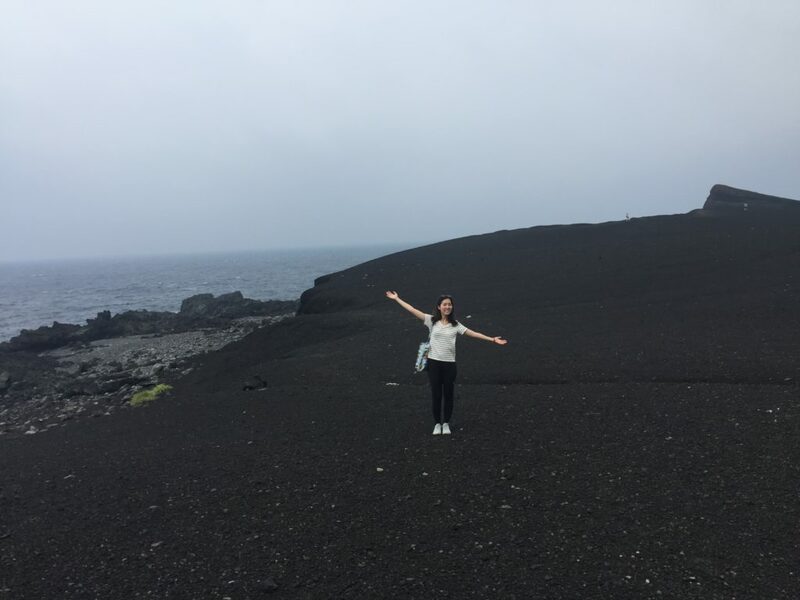 During her time in APU, she found her passion for volunteer work and took several trips to many countries with a mission to contribute in some way to a better society. After graduating from APU, Dissa obtained her masters’ degree in Australia and worked in the Singapore headquarter of one of the world’s top financial institutions. However, she continued to pursue her passion for volunteer work. During one of her volunteering missions, she spent three months in Nicaragua where she heard of a cafe with deaf employees called ‘Cafe de Las Sonrisas’. She decided to visit the cafe and was very inspired by the concept. 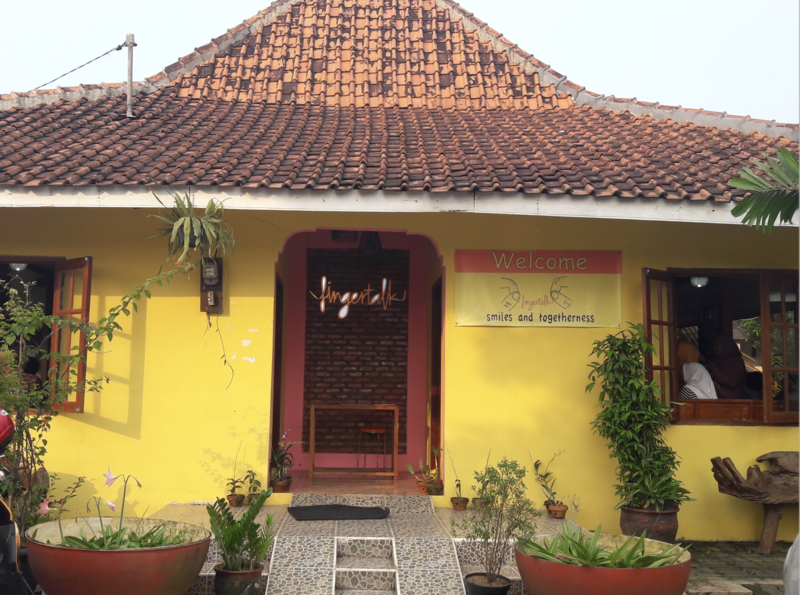 Having remembered the man she met as 10-year-old combining with her passion for the non-profit field, Dissa felt an urge to create a similar cafe in Indonesia. After a considerable amount of research, she found that Indonesia has more than 6 million people with disabilities, and of which, more than 470,000 are deaf. And the more prominent problem is that more than 70% of people with disabilities there are not working, let alone receiving proper education. At the event in Tokyo, when asked about her biggest obstacles in opening ‘Fingertalk’, Dissa admitted that she had a rough beginning. Though some people supported her idea, it was hard for her to raise funds to realize her cause. So, she decided that she would have to do it all by herself. She intended to save as much money as she could from her job in Singapore and at the same time, she started learning Singapore Sign Language (SgSL) and American Sign Language (ASL) in order to understand more about the deaf community and make new friends. Eventually, she kickstarted ‘Fingertalk’ in Tangerang City, Indonesia, and soon after, left her job at the financial institution to pursue her dream full-time. ‘It all started by getting to know someone from the deaf community. Then, they started introducing me to their friends and people they know. That’s how I started recruiting people for Fingertalk. I started by interviewing them with pen and paper when I wasn’t fluent at Bisindo. I needed to find out what they can do, and what they aimed to be. Through the process, I luckily met one deaf lady who allowed Fingertalk to use part of her house as the first cafe for free. This jumpstarted our business.’ says Dissa. Despite the hurdles of the financial obstacles, the location, and the staff recruiting she had to manage, the cafe took off and people started coming into the cafe. In the cafe, there are sign language posters everywhere in order for the people from the hearing world to try and communicate with the employees. With this, Fingertalk took one step closer to its mission—connecting the two worlds and teaching people something new. With more and more people coming in, the employees also feel more motivated to communicate and work hard. More importantly, this help them to believe in themselves and their abilities. According to Dissa, the biggest challenge she faces is ensuring that the employees’ self esteem remains intact; that they don’t feel any less confident than those who hear. This year, Dissa and some of the staff from Fingertalk came to visit Beppu, Oita where APU is located. She also visited schools for children with disabilities. The city government of Oita Prefecture generously supported Dissa fully in all the trip arrangements. Together, they visited Oita School For The Deaf (大分県立聾学校) and Beppu Special School. According to Dissa, the schools have such great facilities for children that can support their learning and creativity. The atmosphere was warm and fun. Even in a deaf school, they have a piano where the children can enjoy music through the vibrations on the floor. Dissa felt like Japan is at least 40 years more advanced than Indonesia in terms of educational and life opportunities support for people with disabilities. She was also impressed with how caring the teachers are. One teacher in particular, a deaf teacher who did not let his abilities be an obstacle for him to doing things such as learning English, she found to be very inspirational. Other than the schools, she also visited Taiyo no ie (太陽の家）or ‘The Sun Industries’ — an organization established in 1965 after the Paralympics in 1964 with the motto that more than charity, what’s more important today is creating employment opportunities for disabled people. To provide employment opportunities to people with disabilities, Sun Industries have made partnerships with large companies such as Sony, Omron, Denso, Fujitsu, and others. This is another example of a good support system that Japan has for people with disabilities. After the trip, Dissa is determined to make use of her new knowledge to help people in Indonesia through Fingertalk. Dissa mentioned how supportive APU alumni and the faculty members have been to Fingertalk. Not only have friends from APU paid visits to the cafe, but also Professor Kenji Yokoyama, a vice-president of APU. Dissa finds suggestions from alumni from all over the world useful and interesting since each country has different pros and cons in the support system toward people with disabilities. At the event, one alumni even suggested a tool similar to Google Translate for sign language, something to consider in the future. Some others asked about the future of Fingertalk whether it is the expansion of business into different areas or expanding its focus to people with other types of disabilities. Dissa’s answer was that she is now focused on helping deaf people but the long term goal is to definitely help people with other type of disabilities as well. Now Fingertalk is still small but she is aiming to expand its services and footprints. After two years of founding Fingertalk, the business has attracted interest from media and local government and received awards such as Tokoh Metro 2017. Fingertalk’s crew have also been invited to attend many events such as Inovasi Indonesia Forum & Expo and Festival Kewirausahaan. When asked of what keeps her going with such positive energy, her answer was that “I want people to learn something from me when they meet me, even if it is just the sign of Beppu”. She taught use our right hand to create something that looks like number three and our left hand as a horizontal C to cover the base of our right hand, making the three fingers visible. With two hands pounding each other twice, it becomes ‘Bep-pu’ — the three fingers represent steam wafting from hot water, for Beppu is famous for its hot springs. Later, she personally taught me how to say ‘Thailand’ in sign language. It’s a very clever and fun way to sign my homeland. You use an index finger to point to one’s nose and slide the finger down and outward from yourself. This represents elephants, the symbol of Thailand. It’s something I’ll never forget. And that is part of why Fingertalk works so well, because the people working there and those visiting are always learning something from each other. It’s not just a meal and a drink, it’s a rewarding experience. How many of you have ‘swimming with dolphins’ on your bucket list? Well, I am one who have always wanted to do that ever since I saw a dolphin show in a Sea World as a child. Dolphins are very friendly and smart mammals and I have been fascinated by them for a long time. I imagined that swimming with them would be so fun like the Little Mermaid swimming with her ocean friends. Fortunately, I finally got the chance to do that and it was in Tokyo. 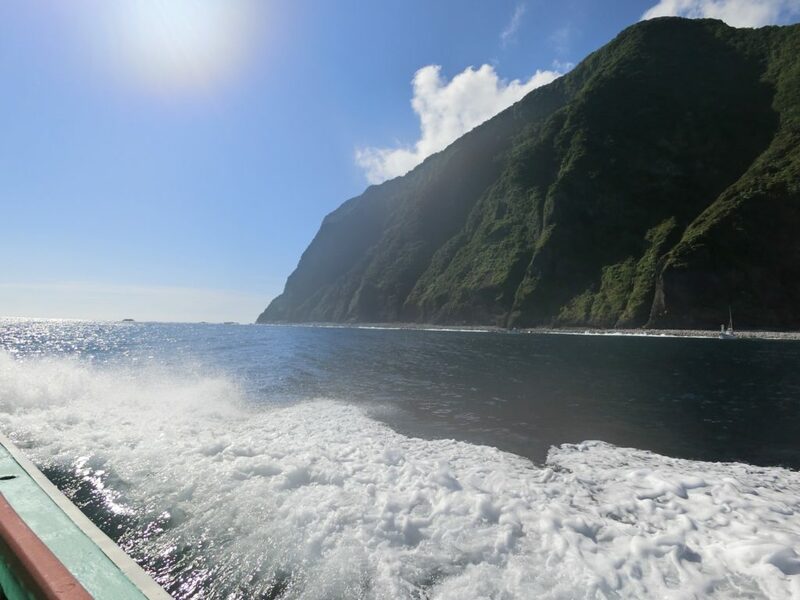 My friend invited me to go on a dolphin swimming trip in Miyakejima (三宅島 Miyake island), which is a remote island in the Philippine Sea with a massive active volcano in the middle. It is located approximately 180 kilometers southeast of Honshu, Japan from but surprisingly, it is part of Tokyo. The trip took three days and two nights. We had around one and a half days on the island, of which includes dolphin swimming practice (snorkeling), the real adventure, and still some free time to explore the island. 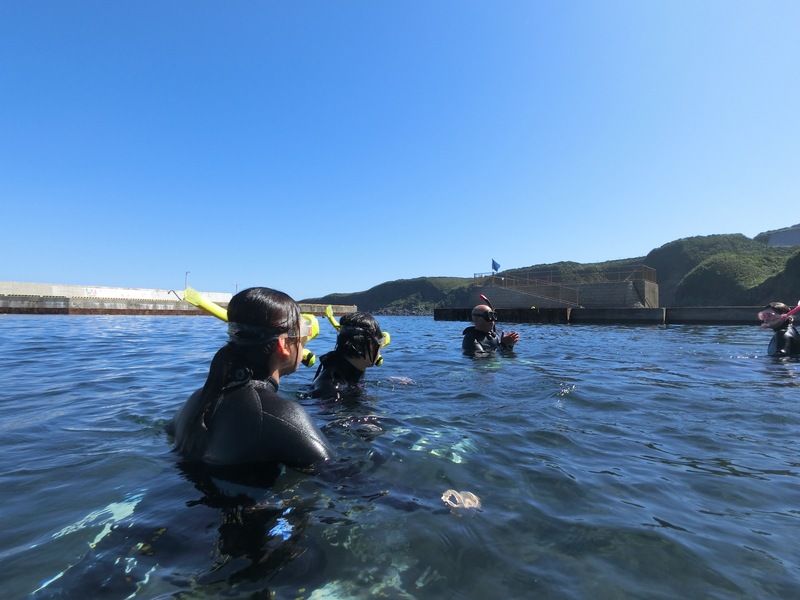 The tour was arranged by Tokyo Diving Center. At 10:30 pm on Friday night, we departed Takeshiba pier, located near Hamamatsucho station. 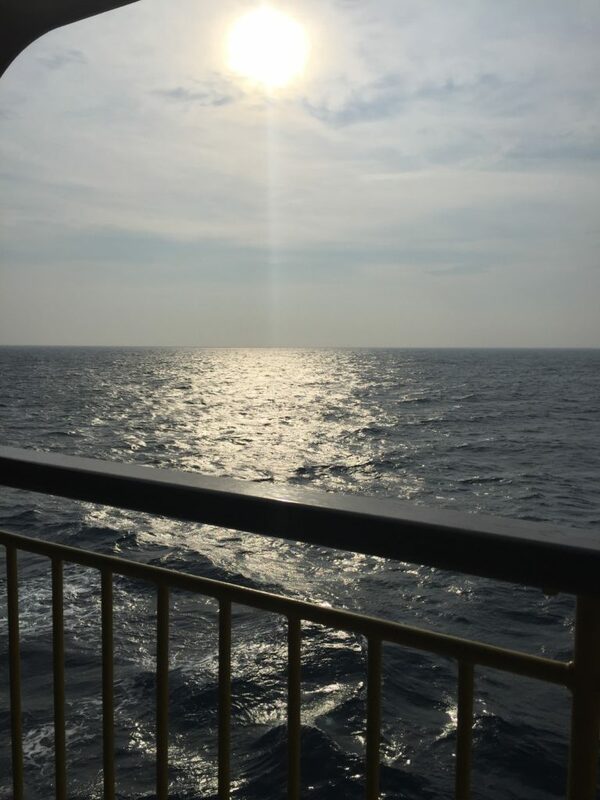 It was a direct route from Tokyo to Miyakejima without any stops in between. The trip took six hours and we arrived in Miyakejima at 4:30 in the morning. For it was a great boat ride I did nothing but slept all the way through. As soon as we got out, I felt the fresh air, breathed the slightly salty smell of the sea and was hit by the immensely strong summer heat. practice but later, I would find out why. The water was very still at the port. We started practicing step-by-step, from the ways to put on our equipment, swimming, and learned the basics of doing a free dive. At first, was hard for me because I had problems with my snorkel making it hard to breath since the water would keep seeping in, but Kenji was a great instructor. He was very patient with me even though we both agreed that snorkeling is probably not one of my talents. Since the wetsuit makes us buoyant, we also practiced with two kilogram weight belts which allows us to do free diving. This means, if we do it right and with a bit of luck, we can dive in and swim beside the dolphins. The morning session ended around 10:15am. We got out of the water and had some hot tea which felt really good. We then went back to the hotel, rested, had our tasty lunch boxes, and then we all gathered again at 12:30pm. This time is for the real thing. The heat was even stronger in the afternoon. We went on a small boat with a total 15 members including the crews. It took around an hour until we got close to an island called Mikurajima (御蔵島), another remote island in ‘Tokyo’. Apparently, dolphins like to play around the island in the shallow water area. Now, it was time for dolphin spotting! The water was pretty wavy and the color was dark blue/greenish. I still can’t figure out how the crews can actually spot anything in the choppy water. But soon, they spotted some dolphins and asked us to prepare. To prepare means staying at the side of the boat with one of our legs above the boat walls ready to jump. As soon as they told us to jump, we jumped off and swam as fast as we could to try to spot the dolphins under the water. It was much harder than I expected with the heavy-duty waves and the shock of being released in the real ocean where our feet can’t touch the ground. The boat stayed behind us and the crew shouted for us to get back on board once the dolphins they spotted were gone. My first try did not go very well. I choked on the water and forgot how to swim as soon as I jumped and was asked to pass on the first round. Luckily, it got better after the second try. On my third try, I saw three dolphins swimming right under me. There was one big grey dolphin in the middle and two smaller dolphins swimming alongside. They were as cute as I imagined and I was very awestruck I almost forgot to breathe. That lasted only a few seconds before they escaped from our sight and we were asked to get back on the boat. It seemed like the dolphins were trying to escape from us. Then, it took quite some time speeding around the island trying to spot other dolphins before we got to jump off again. By the sixth try, we all saw some dolphins. I felt like the trip was already worth it for me even though the dolphins were so fast and it was hard to get close. It was a big challenge trying to follow them and keep them in sight for more than a few seconds. To me, this was more than snorkeling; it was also a mix of open water swimming and free diving as well, which a longer training is needed in order to do it well. Kenji apparently teaches a free diving course, too and he claimed that everyone can dive as deep as 15 meters after 2 days of training. I never imagined that snorkeling could take up so much energy. I did take my underwater camera with me but it was incredibly hard to take pictures while doing all the swimming and snorkeling in the wavy water. 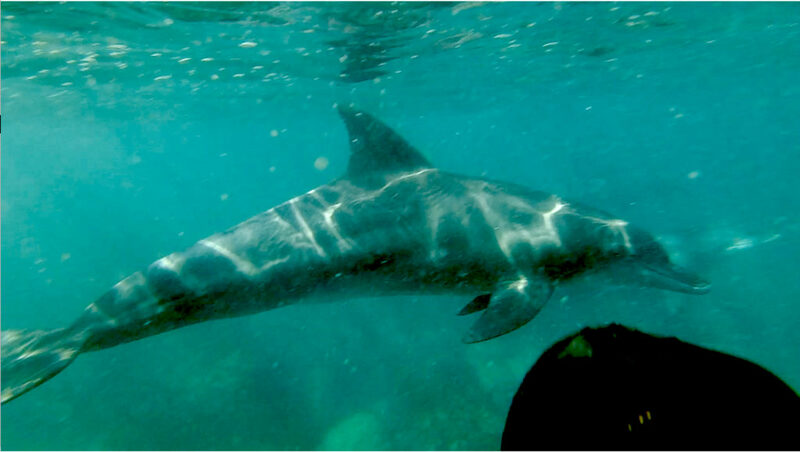 It was great swimming next to the dolphin! Soon, the crew told us they were going to let us jump off one last time. This time, we went so close to the shore. And suddenly, I saw around ten to fifteen fins and dolphin tails above the water as they were playing together in groups. We hadn’t seen so many of them until now. We were all very excited to make this last jump the best. As soon as I jumped, I saw so many dolphins and they weren’t running away. A lot of them were swimming together, some separately, and I did see one staying under water in a vertical way — I imagined that he was probably resting. Some dolphins were even playing with their stomachs upside down. This was spectacular! I swam as fast as I could trying to catch the dolphins. However, since we were so close to the shore, the waves were very strong which made it more dangerous. The nature of the waves would wash us into the island where the boat can’t retrieve us. So the crews shouted for us to get back after 12 minutes of us enjoying the dolphins. This time, I struggled as I lost a lot of energy swimming and the waves were very strong. Swimming against the waves felt scary all of a sudden. Finally, Kenji helped me get back on the boat. We were all exhausted but happy to have had that experience seeing the dolphins closely. Then, we all fell asleep on the way back to Miyakejima. On the way, I also saw a few silver flying fish — I wonder what they are called. Kenji Kasuya, diving instructor explains the secret world of dolphins. The tour didn’t just end there. We visited a hot spring right after and we had another delicious meal waiting for us in the evening. 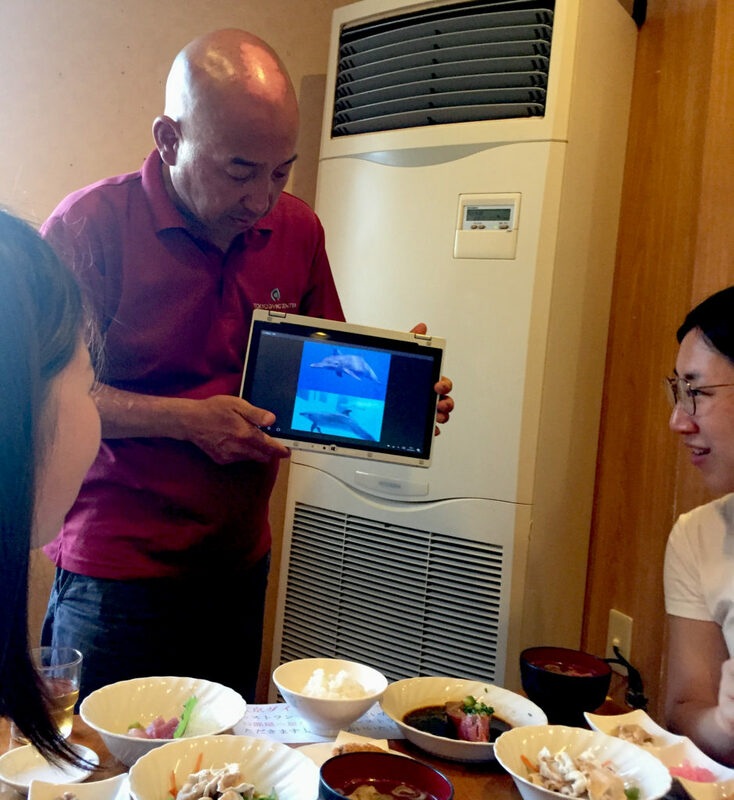 Over dinner, Kenji explained what he knows about the dolphins, their habits, and his experience. What fascinated me was how well Kenji can interact with the dolphins, practically Aquaman. He mentioned that he threw a ball into the water and the dolphins would retrieve it and throw it back. However, once he stopped doing it, the dolphins got annoyed so he dived 5 meters under and showed it to the dolphins. Then, he threw it again and this time, one dolphin quickly took it in a flash and never returned. He also said that they like scuba divers since the oxygen tanks create bubbles and the dolphins love playing with that. They would come close and in a vertical position, make their ring of bubbles under water, too. He also explained about how the dolphins were born from their tails which prevents them from choking under the shallow water. The parents would bring the baby dolphin above the water to breathe once before bringing it back down. He then further explained about dolphins in aquariums. Not unexpectedly, they get depressed swimming in circles in the tight space. Also, according to him, the real reason why dolphins shows begun being performed in aquariums or Sea World is because dolphins lack exercise from being in that tight space. A lot of information he told us that day made us think upon just how much dolphins are intelligent and friendly mammals. Many studies have shown that even dolphins know that mirrors show the image of themselves. That’s how smart they are. As I was smiling with the thought, I also got chills as the thought of Japan eating and hunting dolphins popped up. I know that most of us eat mammals including pigs, cows, and other creatures but it just seems terrible to kill such friendly creatures. After the day ended, my friends and I went out for a walk at night hoping to see stars. And with the lack of lighting on the island, it was almost pitch dark. And so we did see a whole sky full of stars, red lights from the airplanes, and the most amazing thing I had ever seen in my life — the milky way. It was clearly visible. It looked like a foggy group of stars formed in a shape of a long bridge. It was wonderful. I also saw a shooting star which went by like a streak of yellow light, even before I could make a wish. (I made a post shooting star wish anyway!). After the sun sets on the island, the lack of night pollution means you can see the stars and the milky way. The next morning we had free time before we boarded a ferry back to Tokyo in the afternoon. We called a taxi to pick us up. We were lucky to have had such a kind and helpful taxi driver. He told us many stories of the natural places there were once there but had disappeared from volcanic activities and about a time when Oyama (大山), the active volcano in the middle of the island , erupted a couple of decades ago and everyone had to evacuate. There were around 3,000 people on the island then, but now only a bit more than 1,000 people have returned. That morning we visited Tairo pond (大路池)and a volcanic area called Nippanashinzan (新鼻新山). It was all caused by volcanic activities of Oyama. The soil there was black and red. We walked all the way to the top of the cliff. I don’t think I have seen any place that reminds me of other planets more than this place. The island has many other places to visit and I’m sure they’re all worth visiting. The whole island to me was so calm and relaxing. Most of all, the island people were friendly and warm. I felt like this was a true getaway from city life in Tokyo or in this case the Tokyo mainland. I could say that this was a wonderful trip. I got to experience swimming with the dolphins and life on a remote island of Japan. The tour was very well arranged and I’d recommend our readers to give this a try if dolphin swimming is one thing on your bucket list, as well. Of course, as I explained, there are risks in doing this but for me, it was worth it. For details on the tour with Tokyo Diving Center and Miyakejima please follow the links below. For more information on the life on the island, please see the The Miyake Tourism Association. 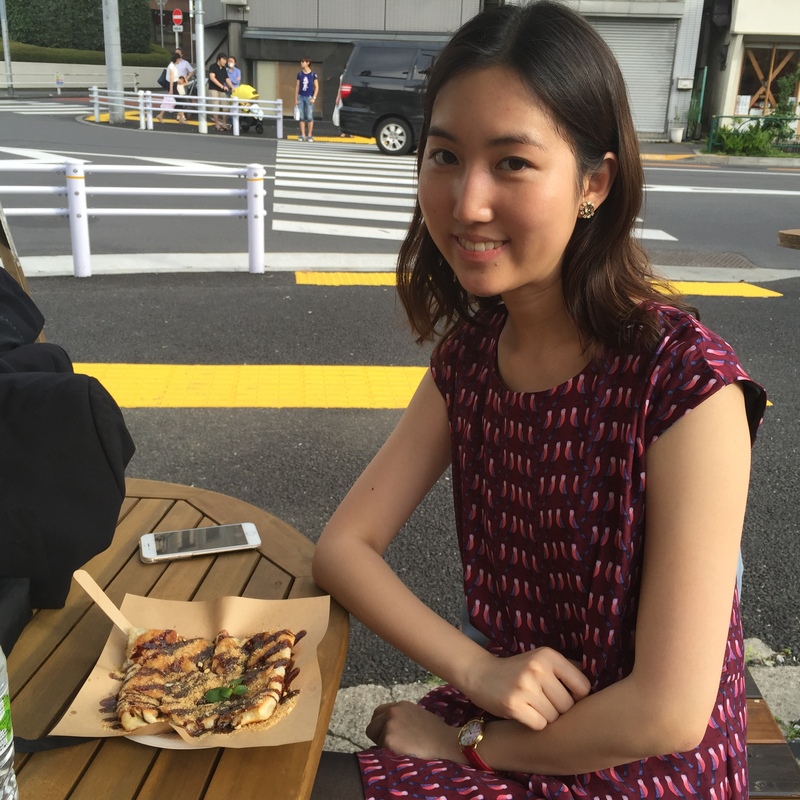 There’s nothing like the sweet taste of Thai “Roti” on a street corner in Kagurazaka. 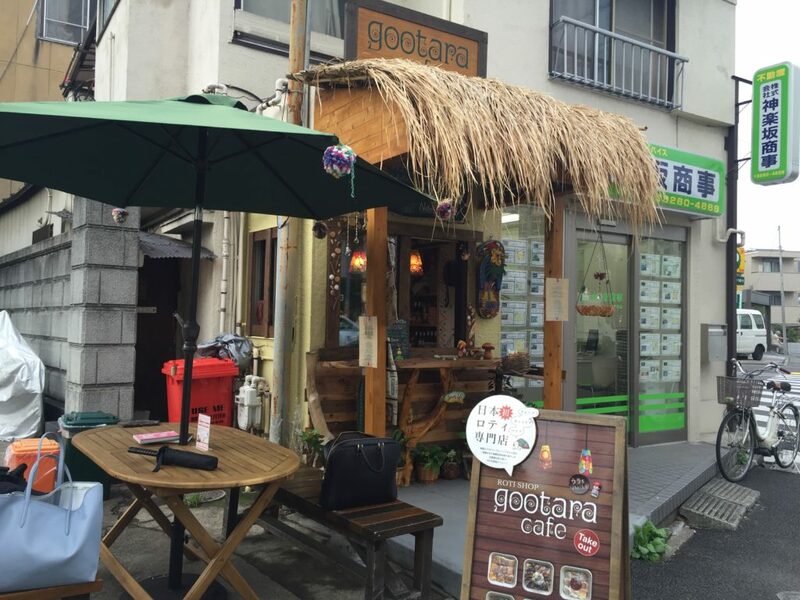 Gootara, the Roti-Shack, with its palm leaves roof and simple benches outside structure, looks like an upscale street vendor shop in Changmai, transferred magically to an old neighbourhood of Japan. Roti is originally an Indian flat bread made from wholewheat flour. Typically, it is consumed with savory food such as curry. Thailand, however, has adapted Roti into a popular dessert. Thus, Roti as a culinary term can mean different thing depending on where you are in the world. Roti have many types and can be customized according to customer’s preferences. The texture of Roti can also be either crunchy or soft. It can be eaten plain with (very) sweet toppings such as condense milk, sugar, chocolate or even ovaltine/Milo malt powder. Not only eating the plain type with toppings, many types of fillings can be added. For instance, banana, eggs or chocolate. This dessert obviously has high calories due to the amount of oil and margarine used to fry the roti and all the sugary fillings and toppings. Making Roti is not easy. It takes some real expertise to stretch the dough and make it very thin. Hence, despite the popularity of Thai food in japan, this dessert is not seen anywhere. 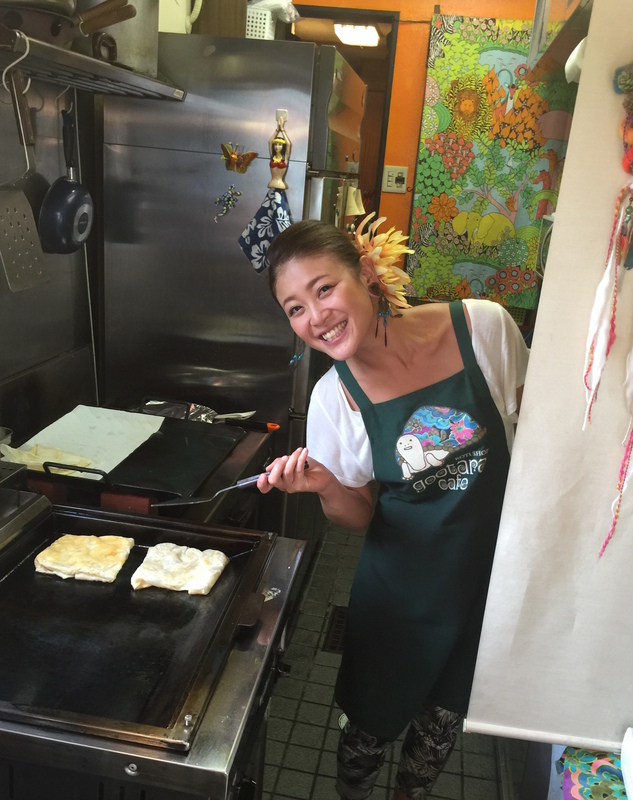 Fortunately, the first Roti place called Gootora cafe is now opened in Kagurazaka. The cafe is a small outdoor cafe looking like a Roti shack, giving the atmosphere of Thailand. The Japanese owner goes to Chaingmai, Thailand for a long period of time every year to learn the craft of making Roti. (She may have just made my dream comes true—I’ve been wanted to eat some for ages.) She has adapted the dessert a little to make it more suitable to what Japanese people might prefer. 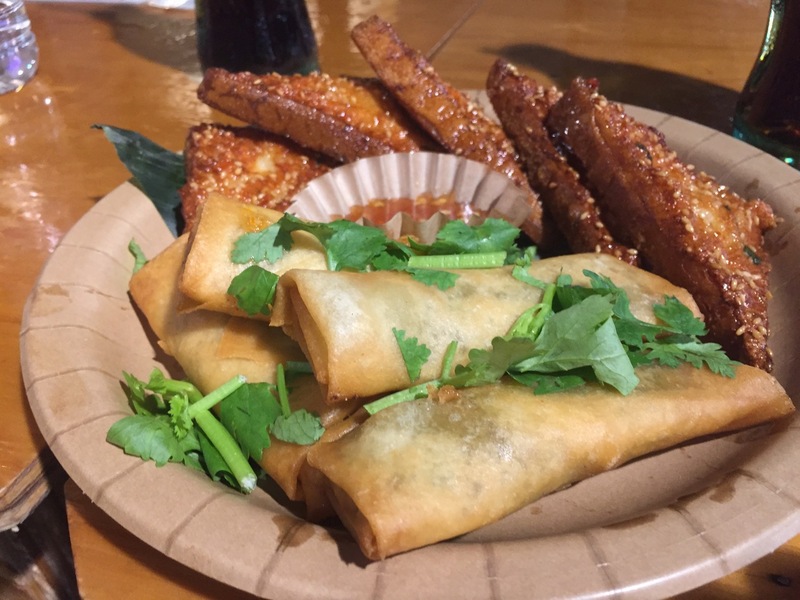 Even “Savory Roti” is available which is more like a crepe and a special Japanese-fusion Roti, which uses anko (Japanese blue bean paste) for almost a traditional tasting hot wagashi. The differences are that margarine and vegetable oil are not used, but is replaced by coconut oil, cutting down a substantial amount of calories. The toppings are less sweet with only a light layer of condensed milk and chocolate with no sugar. In contrast, some menus have ice cream on top along with coconut flakes and even parsley as a decoration. 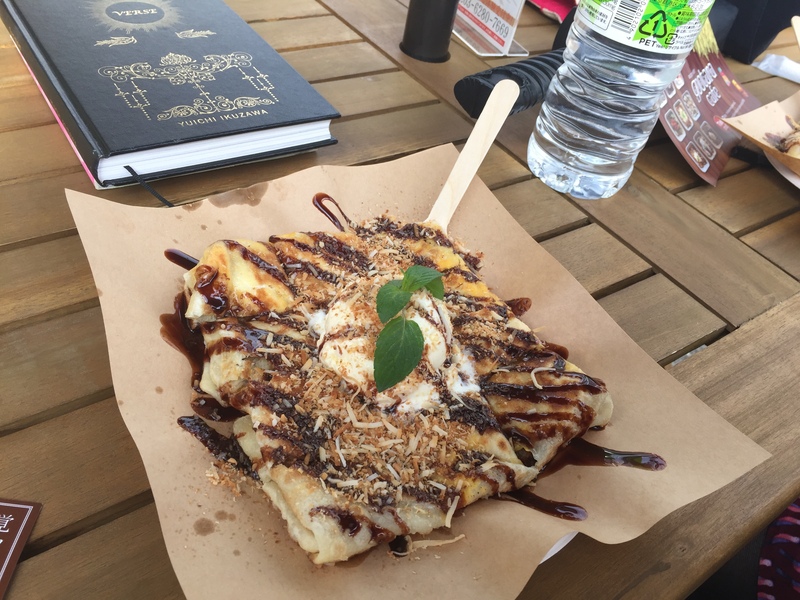 The taste is very similar to Roti in Thailand except for the slightly lessened sweetness, the lack richness of margarin and new types of toppings. The kind owner of Gootara Cafe. 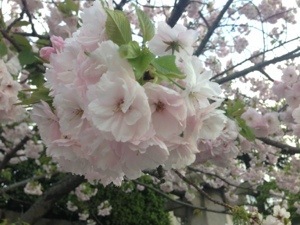 There are many kinds of cherry blossom. 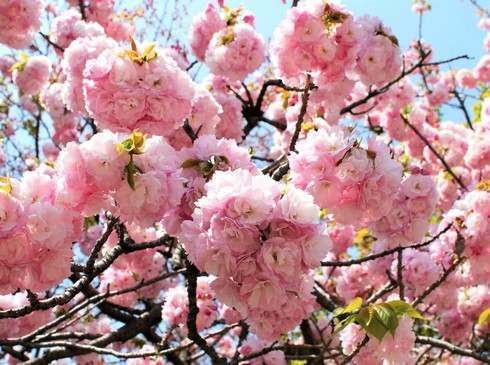 Yae-Zakura is a double-layer type of sakura which is famous for its beauty and strength. The normal type of one-layer sakura tends to be fragile and easily be blown away by strong wind or rain. I believe that a lot of us have never heard or seen this type of sakura before. In April of 2013, I visited Osaka castle wanting to see some sakura but sadly the storm had blown all the blossoms away. However, I did found this one tree of Yae-Zakura that was still full of blossoms. This type of sakura is just truly beautiful! Definitely worthwhile to see. I have read somewhere before that it used to be found only in Nara prefecture and mostly up on Yoshino (吉野) mountain where you can go up by rope way to view the whole mountain full of beautiful cherry blossoms. But these days, it seems to be found everywhere. Yae-zakura blooms a bit later than the normal sakura. The hanami may have been over but Yae-zakura is still here! Gotokuji-Tokyo. This temple located near Gotokuji station has a few trees that are just starting to bloom. Enjoy the legendary luck-bringing cat statues as well as the yaezakura. Japan Mint – Osaka Head Office. This organization is an Incorporated Administrative Agency where coins, medals, metallic art objects and others are produced. You can visit the factory and see the facilities and how the objects are produced. This sounds a bit strange as a place to display Yae-zakura but the special thing about this place is not the metallic objects they produce but the fact that it has so many Yae-Zakura trees inside the place. Every night, the lanterns are also turned on so you can enjoy beautiful night views of sakura. Hopefully, I’ll get to visit again when the event starts! In Hiroshima Prefecture, you can see Yaezakura from the 13th to the 19th, also at the Hiroshima Minting facilities. What is the hidden link between minting coins and yaezakura? Maybe the idea is simply that beauty is priceless?